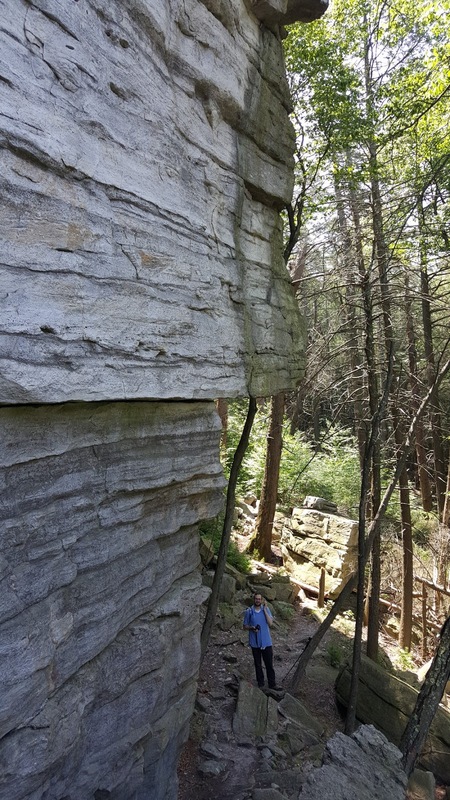 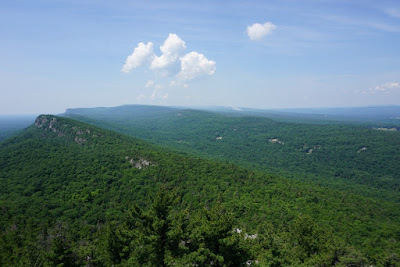 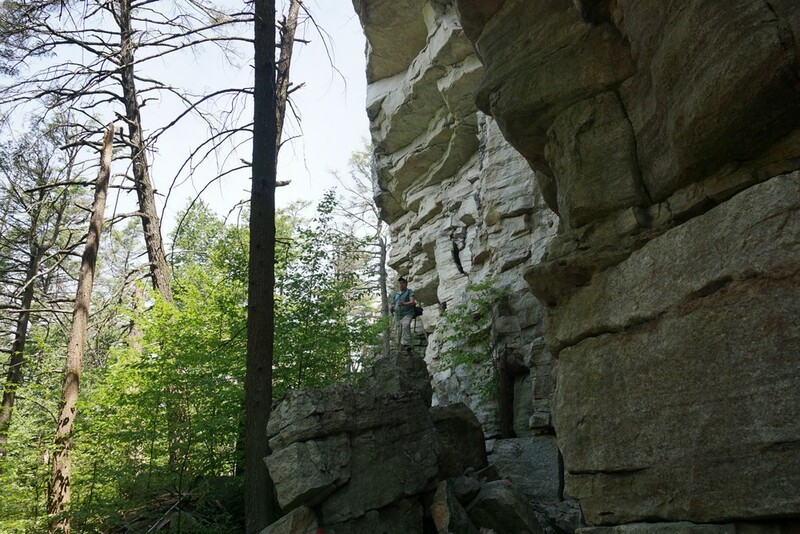 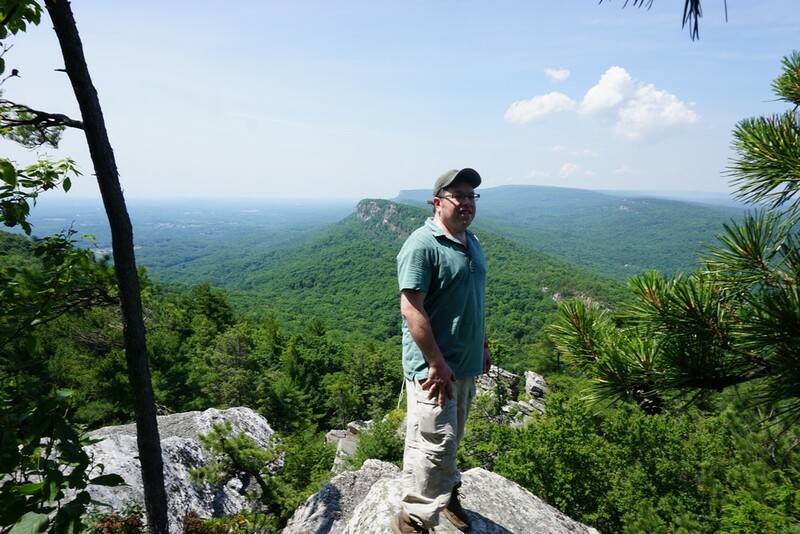 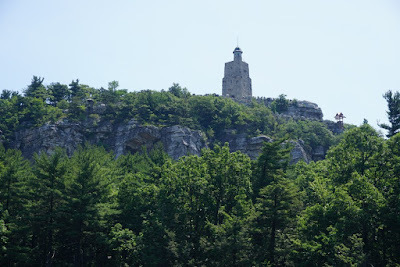 It had been a while since I visited the Gunks, and I took the opportunity to leave early on this fine early summer day with Shimmy to do some scrambling in Mohonk. 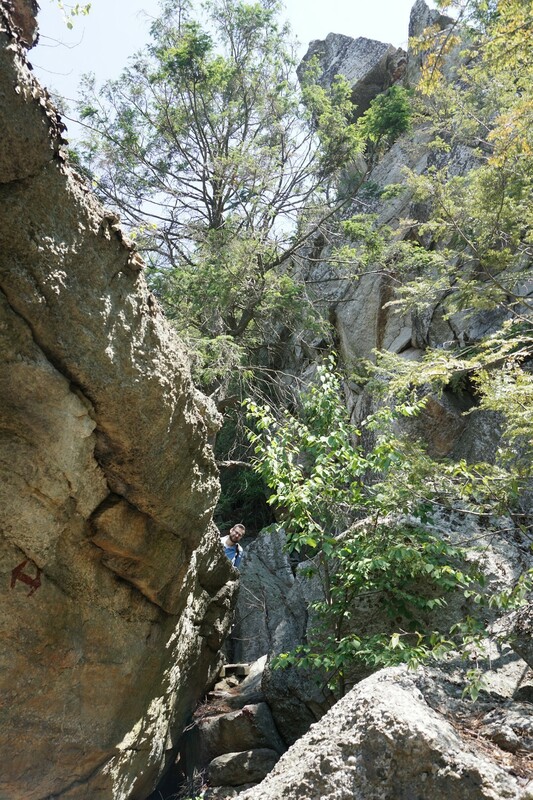 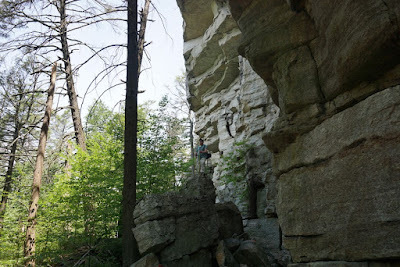 Mohonk has some of the best scrambles in the area, and I hadn't been to the Eagle Cliff area in a long time. 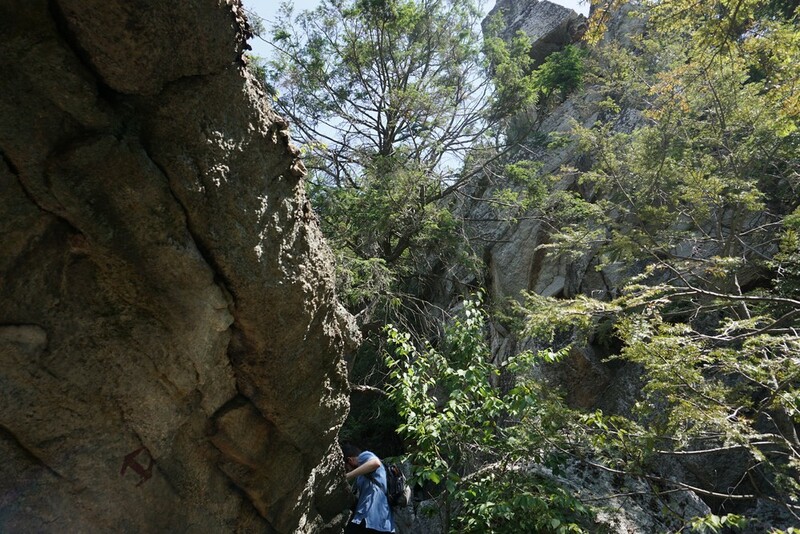 There are many different scrambling routes to take there. 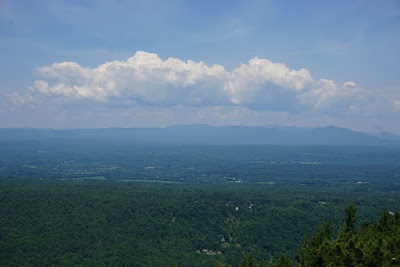 We drove up to the toll gate atop Mountain Rest Road. 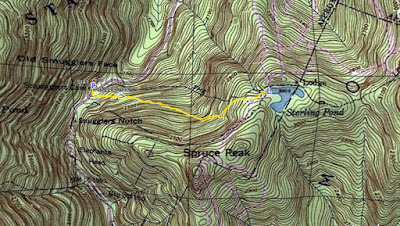 Our intention was to get a good parking spot closer to the Mountain House so we would be closer to the scrambling area. 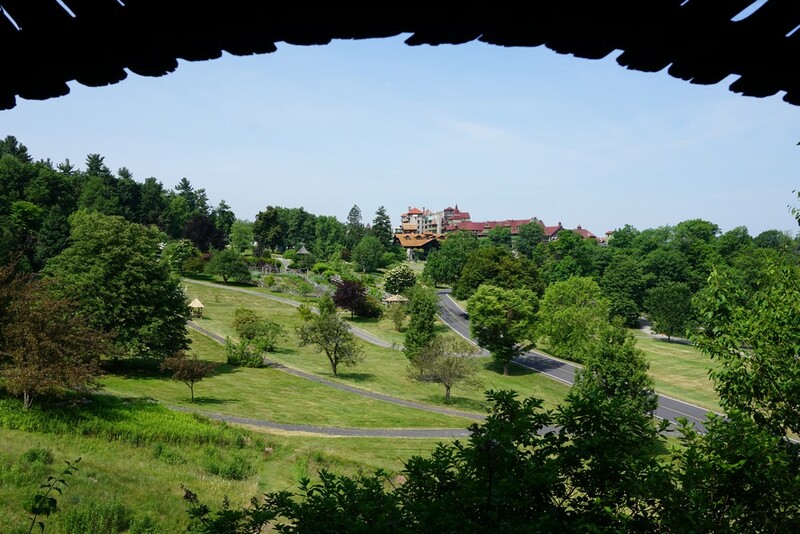 I had acquired membership back at the end of December, and I was told by the clerk when I purchased it that I would be granted the privilege of parking near the Mountain House on quieter days or when the parking lot is not full. Being that we arrived early, we were looking forward to parking closer to our objective. 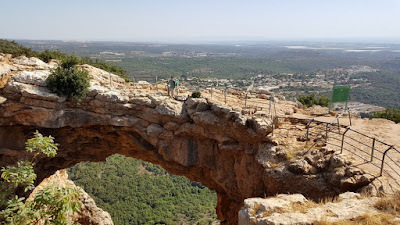 However, the staff at the toll gate did not allow us in, and were in fact rude to us about this when we asked about this. 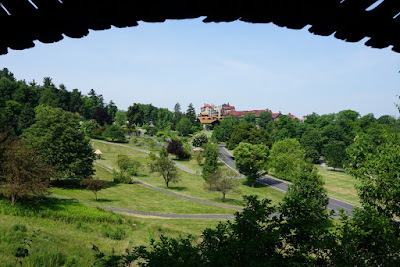 Not only that, but they said that the shuttle from the parking lot to the picnic area near the Mountain House - which has always been running for years - is no longer in operation. 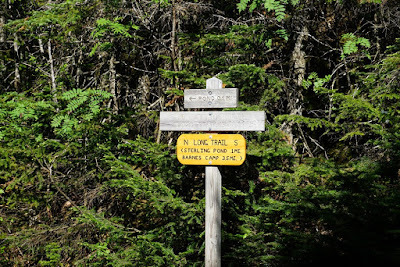 Day Hikers, even members, must now always walk the additional distance. 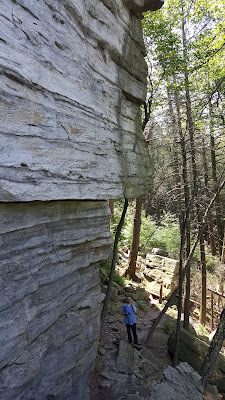 I was stunned and quite disappointed by this. 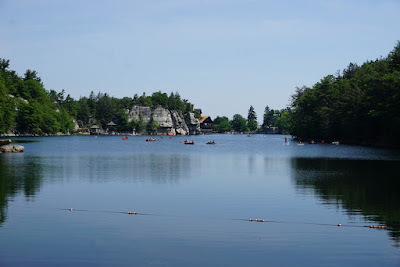 I intend on contacting Mohonk Public Relations about this, and should my efforts be ignored or not be genuinely addressed, I will devote a special article to this. 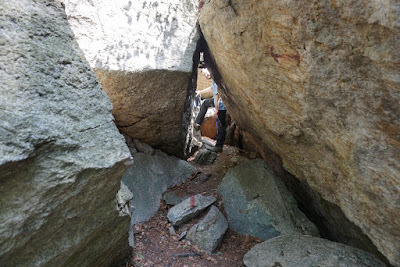 This article will be widely disseminated to my followers and to the regional hiking community, and will hopefully attract proper attention to this. 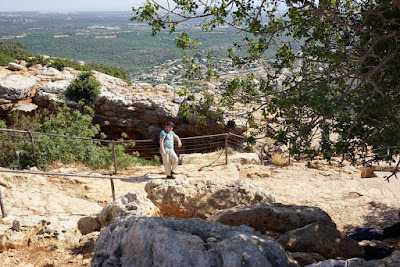 Despite our disappointment, we decided not to let this ruin our day, and still visit and enjoy the area we intended to visit. 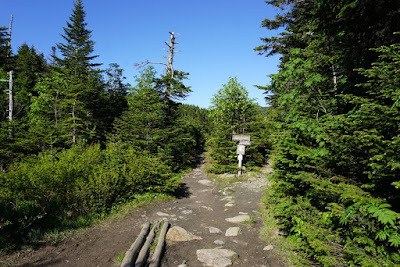 So we parked out in the parking area, and took the most direct path to the Mountain House: The Huguenot Trail to Whitney Road, to North Lookout Road, Glen Anna Path, and then the Fox Path. 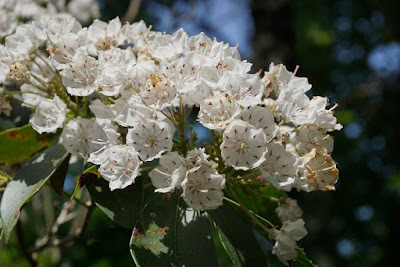 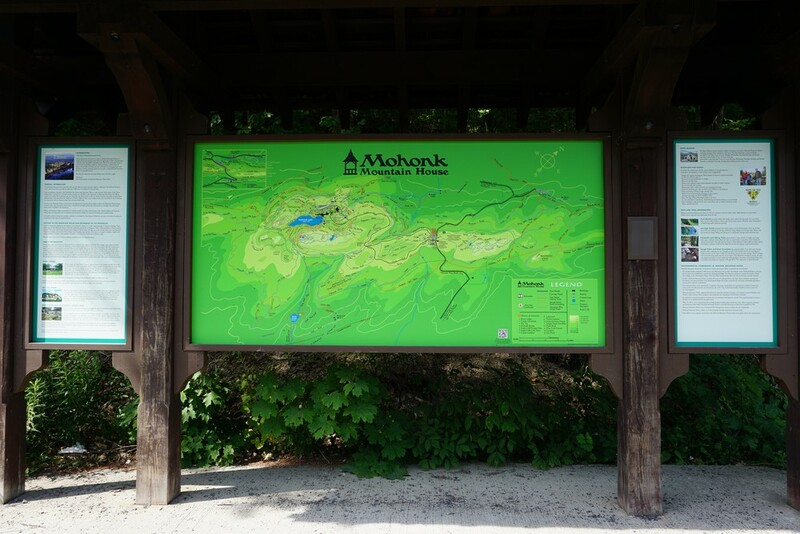 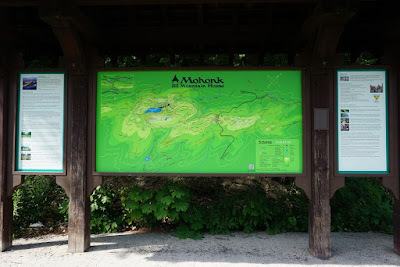 We then walked along through the botanical gardens, towards Mohonk Lake, and then along the Eagle Cliff Road to the Undercliff Path. 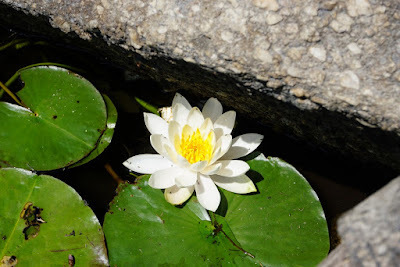 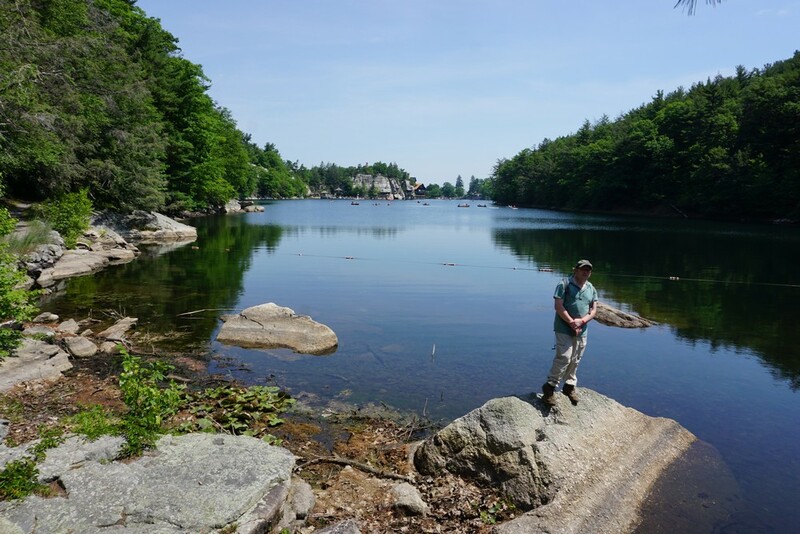 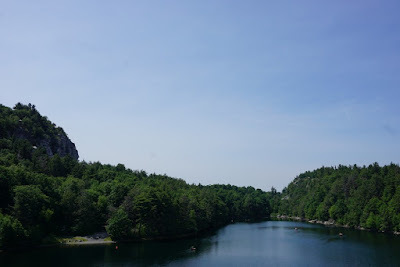 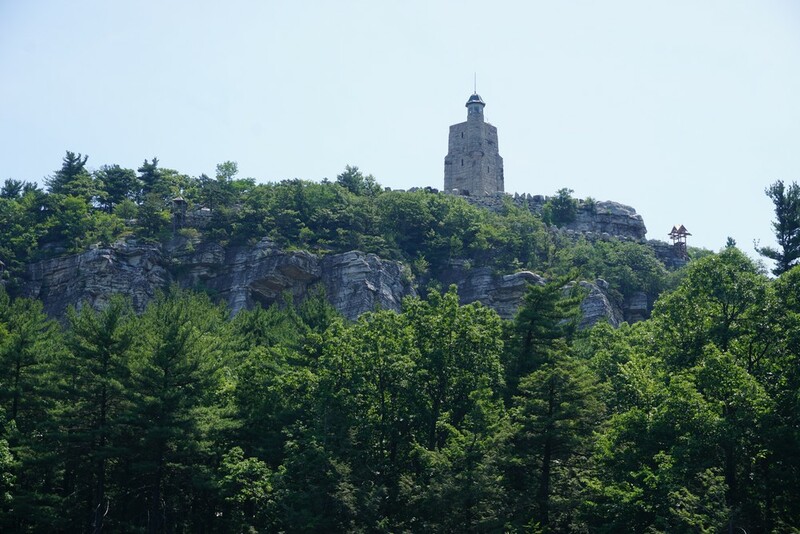 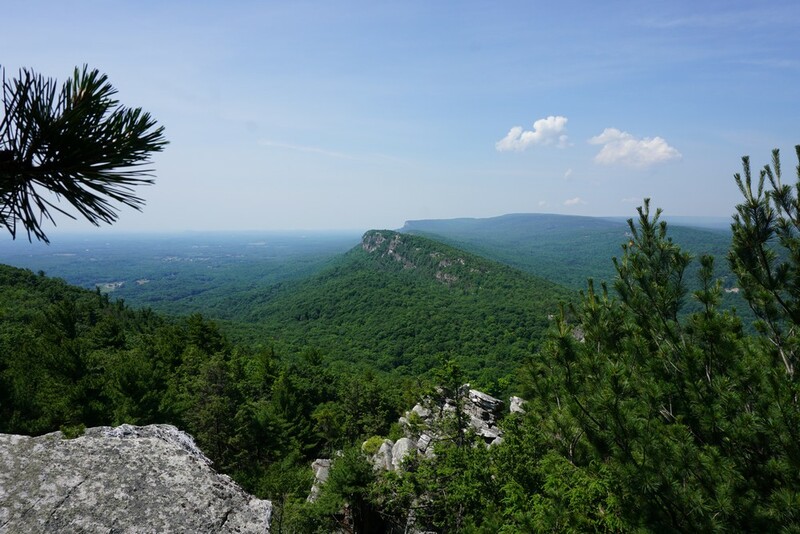 We took some scenic photos of Lake Mohonk, and continued to the Lake Shore Path, and then Short Woodland Drive, until we arrived at the the Eagle Cliff Scramble. 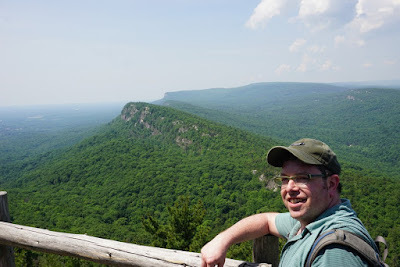 We climbed up the Eagle Cliff Scramble, which affords an excellent view of the south and the west from atop. 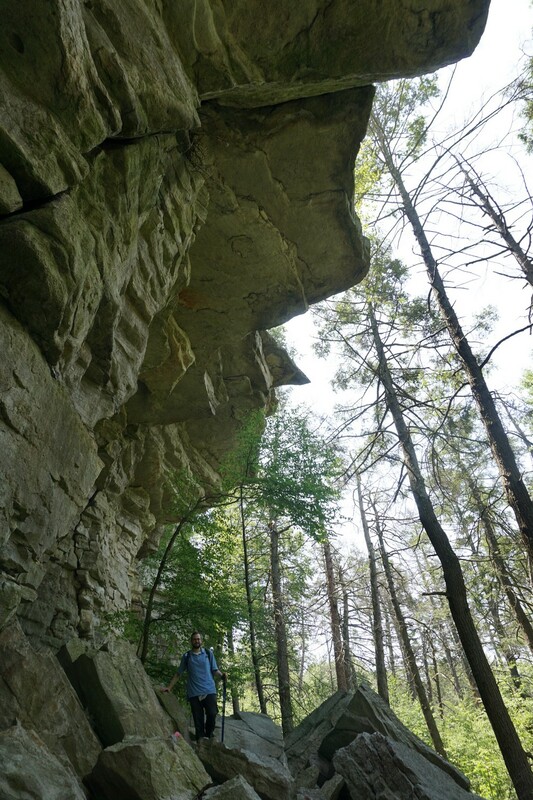 We then turned around and went back down the Eagle Cliff Scramble, took the Humpty Dumpty Road, and looped around to the Humpty Dumpty Path. 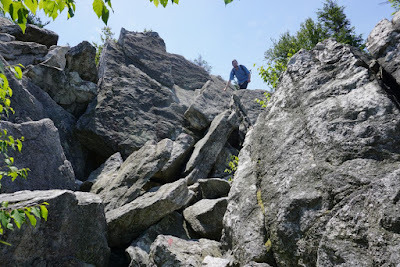 From this point on its quite a dramatic scrambling zone along the route we took, from the Humtpy Dumpty Path, Arching Rocks Path, and then the Cathedral Path. 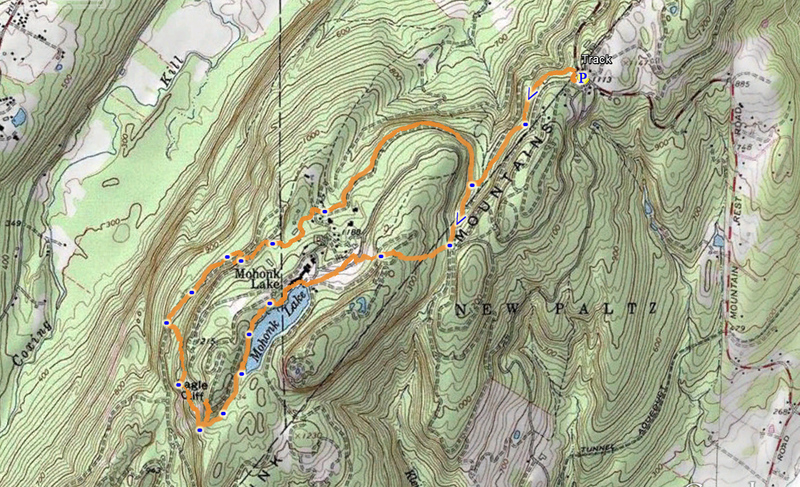 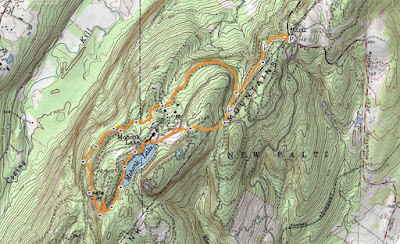 We then took the Plateau Path to the Laurel Ledge Path, and then to the short but very steep Fern Ledge Path. 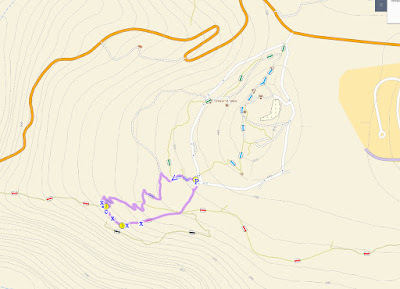 From there we took the Sunset Path and then went around the riding ring, to North Lookout Road and then Whitney Road and the Huguenot Trail to the parking area. 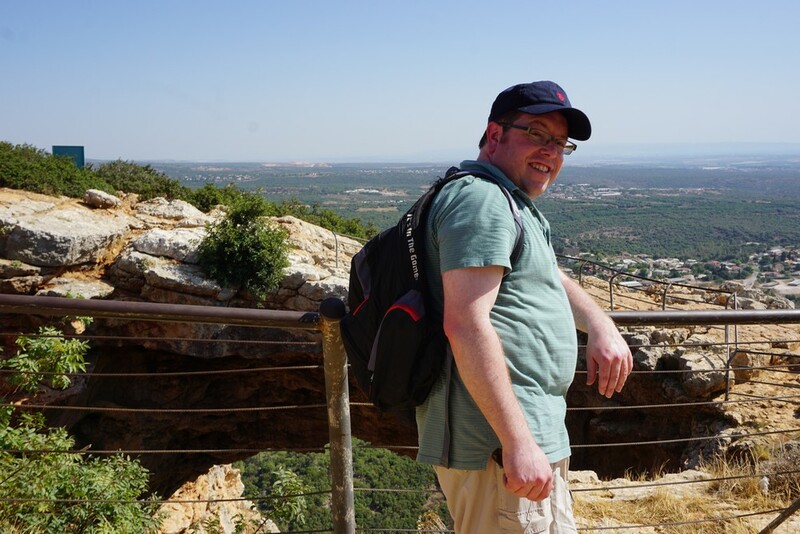 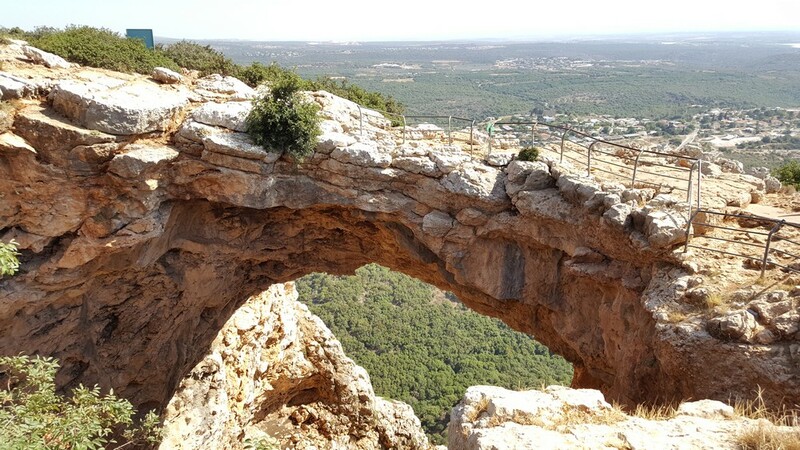 I had made a trip in to Israel, and while I did not have the time to do any serious hiking on this relatively short trip, I did have a chance to visit this very beautiful natural arch called Keshet Cave, which means Rainbow Cave in Hebrew. 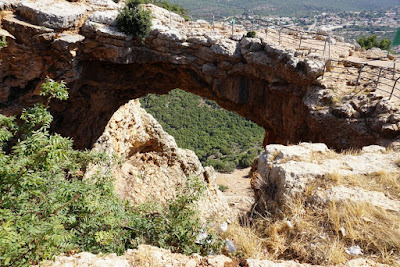 The cave is named for the arch in the shape of a rainbow, which formed from a cave that had part of the ceiling collapse but the arch part remaining intact. 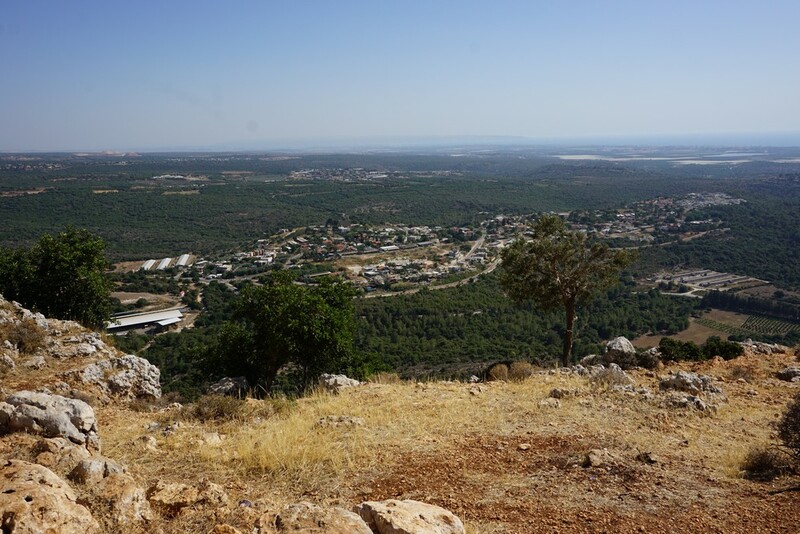 The area is on the northern fringes of Israel, very close to the Lebanon border. North of the Nahal Betzet (Betzet Creek) rises a mountain ridge with a steep escarpment. 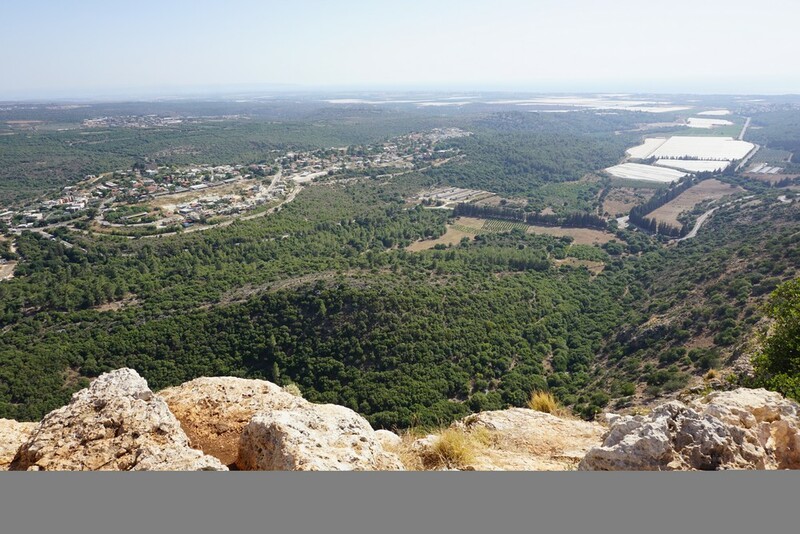 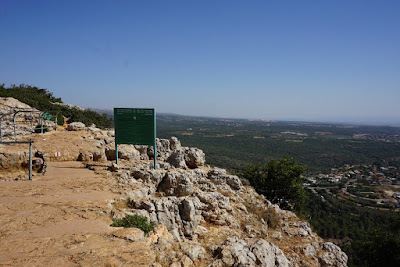 The arch is located here at the top of the escarpment, and commands sweeping views of the area below, and all the way to the Mediterranean Sea. 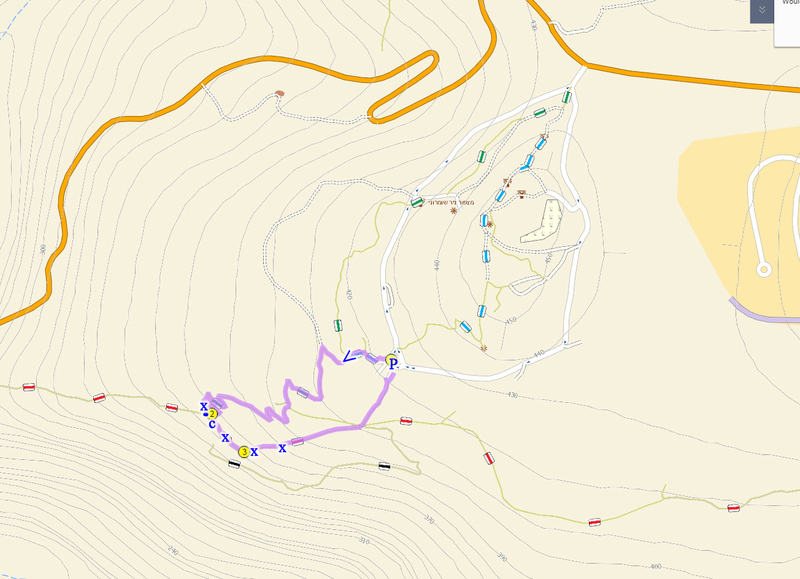 I parked on the top after climbing Route 8993, at the parking lot in the Park Adamit. 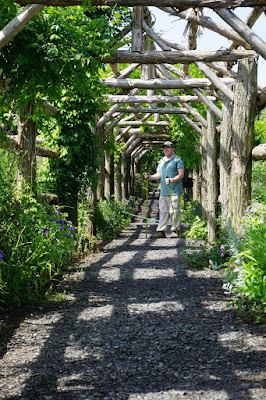 There is a paved, wheelchair access path that leads directly to the arch. 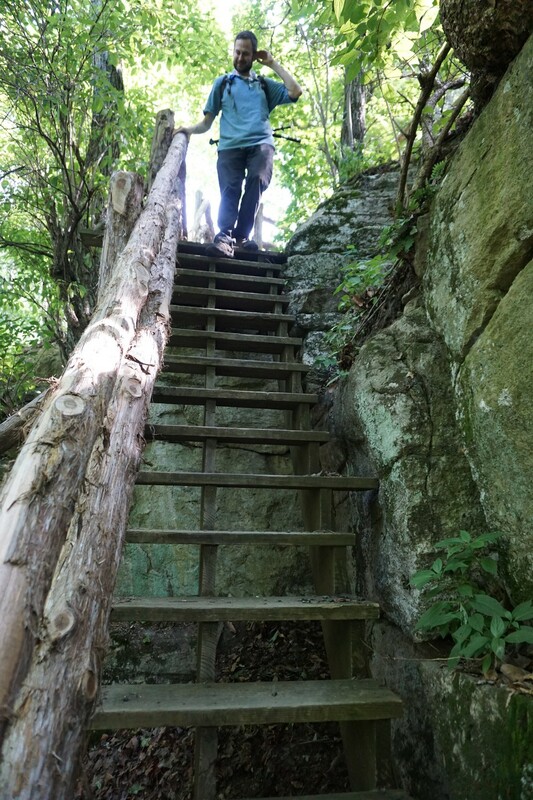 Its a relatively short distance and takes no longer than 10-15 minutes to get to the arch. The arch is an amazing site to see. After taking many pictures of the arch and escarpment views, I headed along the red path along the side of the ridge, and then cut through where the path goes back up towards the parking lot, for a short loop hike. 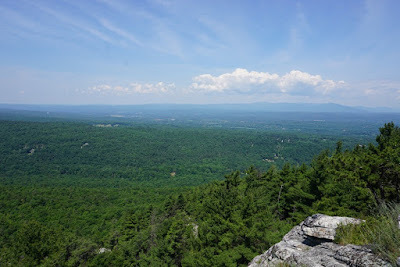 View from the Escarpment. Village of Yaara in the Distance. 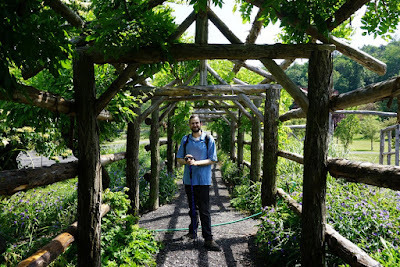 I had traveled to Vermont for a weekend wedding in the Burlington area. 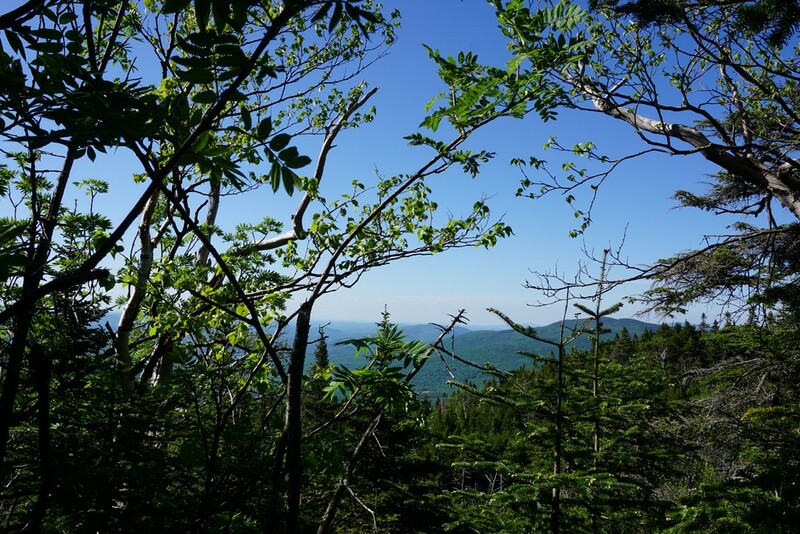 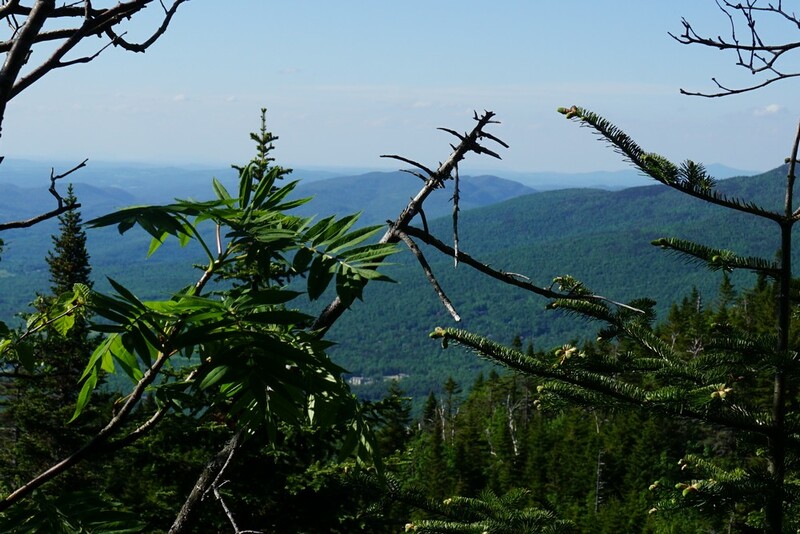 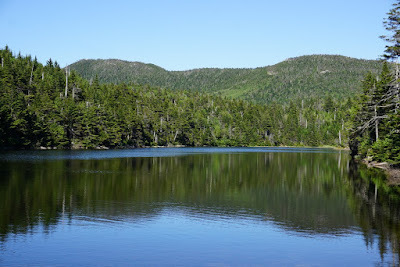 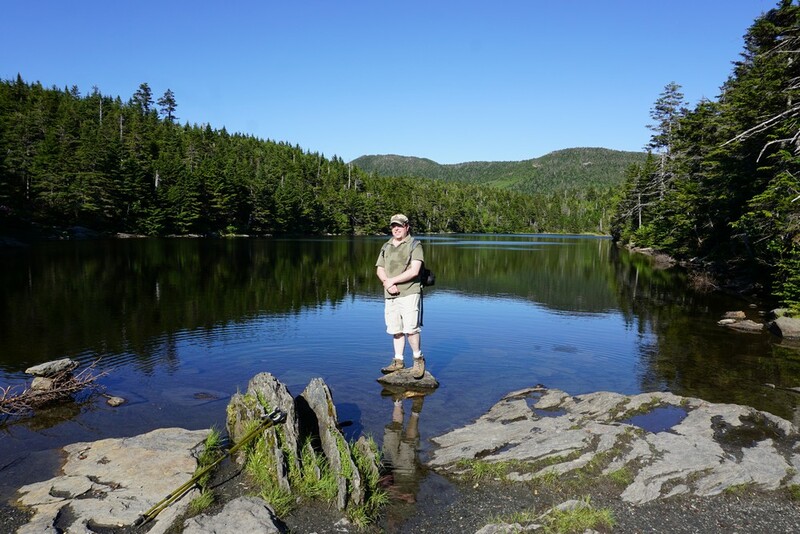 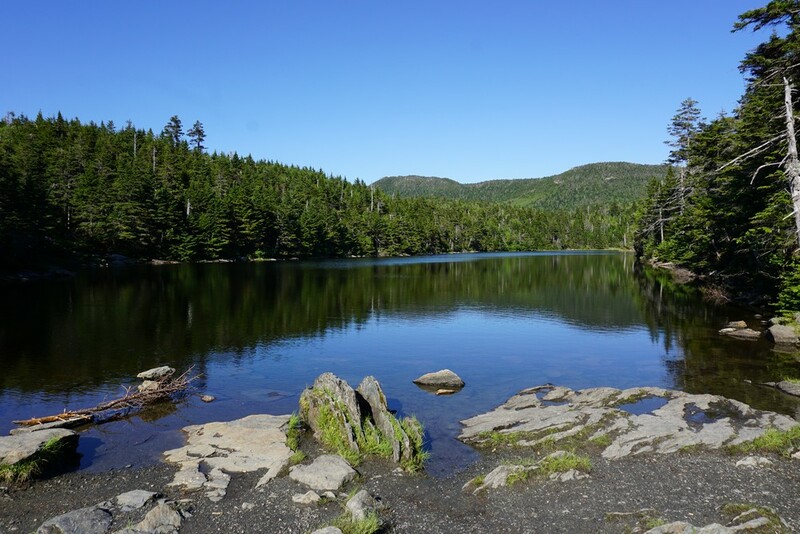 We arrived in the afternoon on Friday, and being late in the day, I opted for a short hike for Friday, and a serious hike up Mount Mansfield for Sunday. 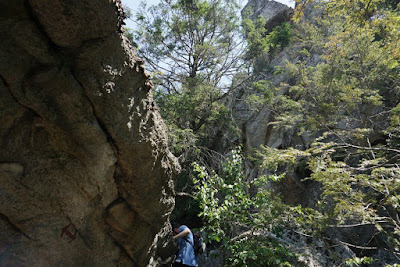 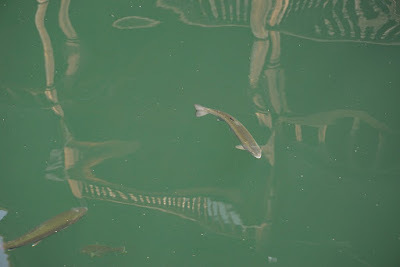 However, the weather on Sunday was terrible, with strong rain all day long. 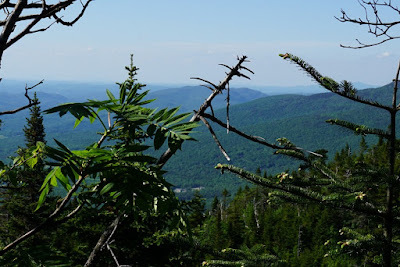 So this ended up being our only hike while in Vermont. 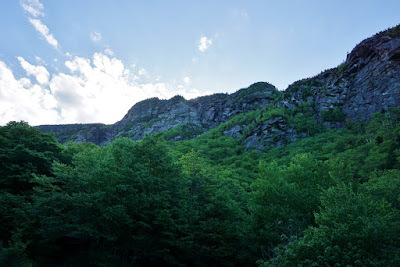 We drove through Smugglers' Notch on Route 108, driving through the narrow and twisting part of this road. 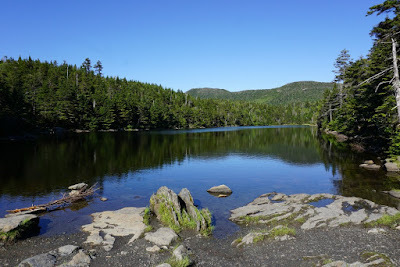 We parked at the trailhead at the Sterling Pond area, and took the Sterling Pond Trail up the mountain, climbing about 1000 feet. 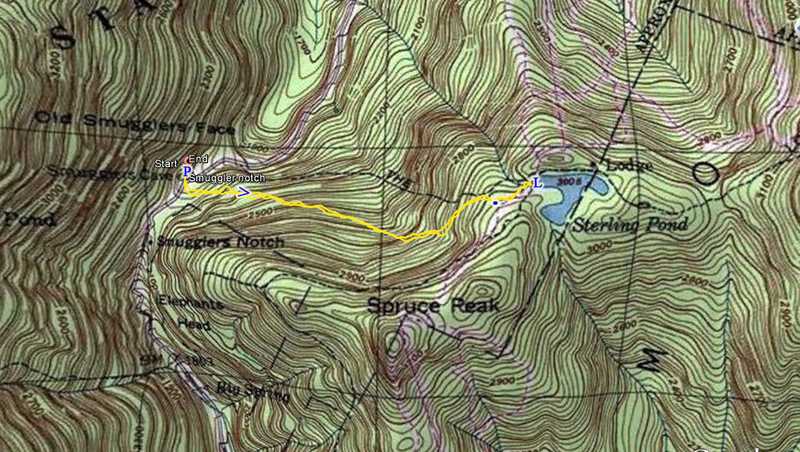 We then took the Long Path at the intersection a short distance to the pond. This pond is a natural mountain lake with crystal clear water. 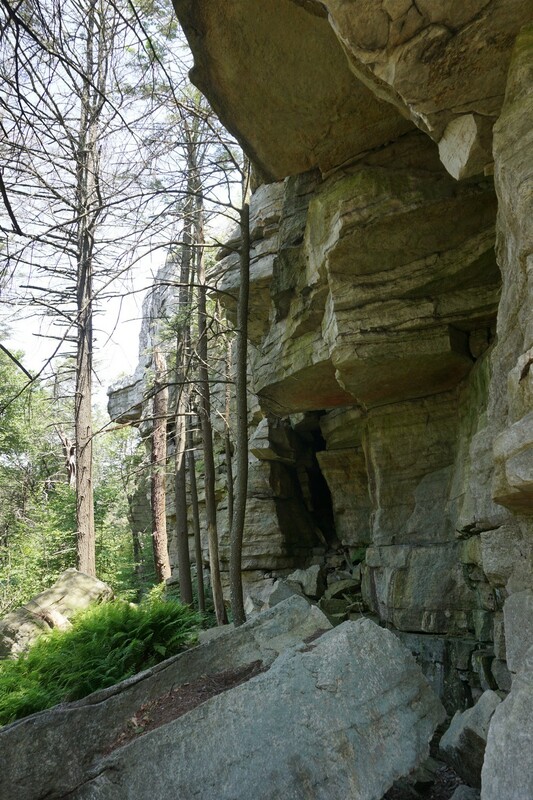 It is exceptionally scenic. After taking some pictures, we turned around and headed back down the same way to the trailhead.